Bo Bunny's new You're Invited I Want It All Bundle is all about birthdays and celebrations, so of course I had to make a birthday card! I included some easy chalking techniques to go with this fun collection. 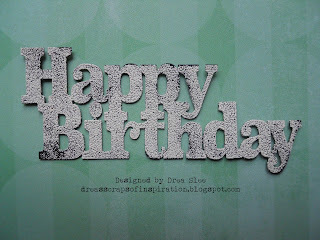 Check out How to Make a Bo Bunny Birthday Card by FotoBella Papercrafting Supplies on Snapguide. 1. Cut a 5 3/4" square from the striped "Shindig" paper. 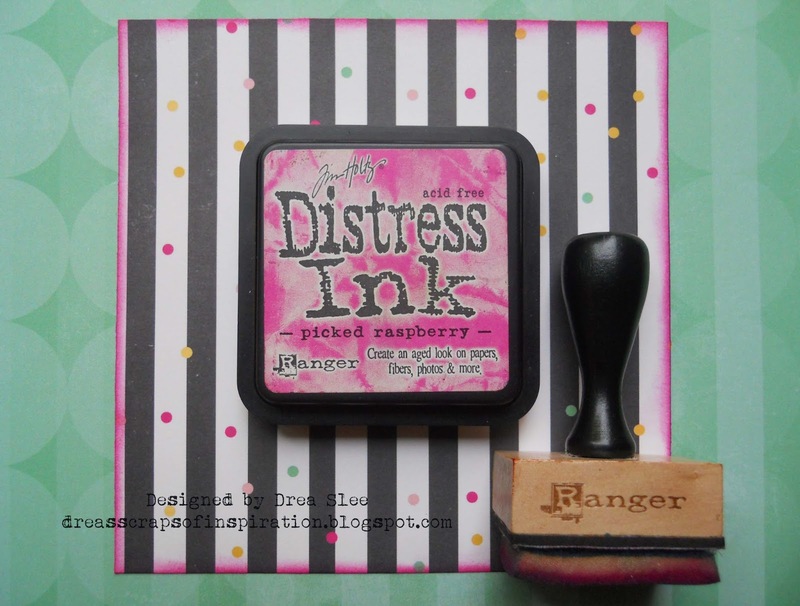 Apply the Picked Raspberry Distress Ink with your blending tool around the edges. 2. 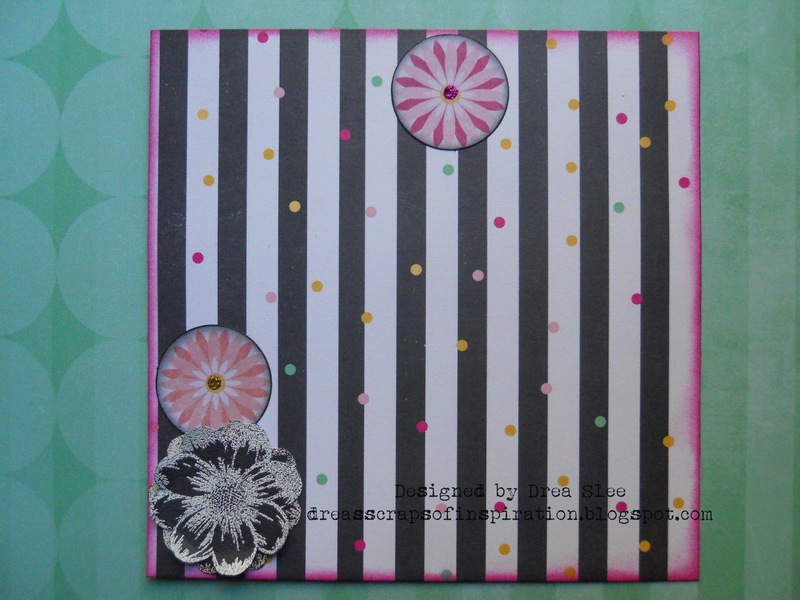 Ink edges of three of the circle shaped flowers that come in the Noteworthy pack with Black Soot Distress Ink. 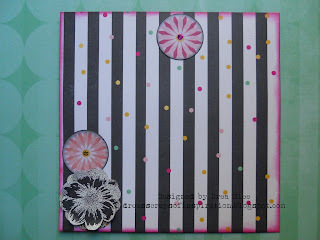 Add a dot of Stickles to the centers, and put one aside. 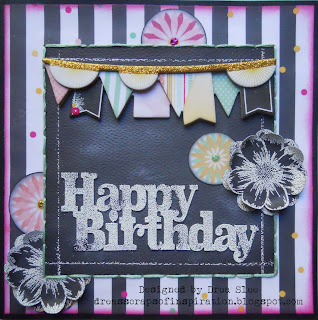 Use the black cardstock that comes in the Ephemera to stamp the flowers with white embossing powder four times. Fussy cut and glue two flowers together, and put one aside. Glue your pieces as shown here. 3. 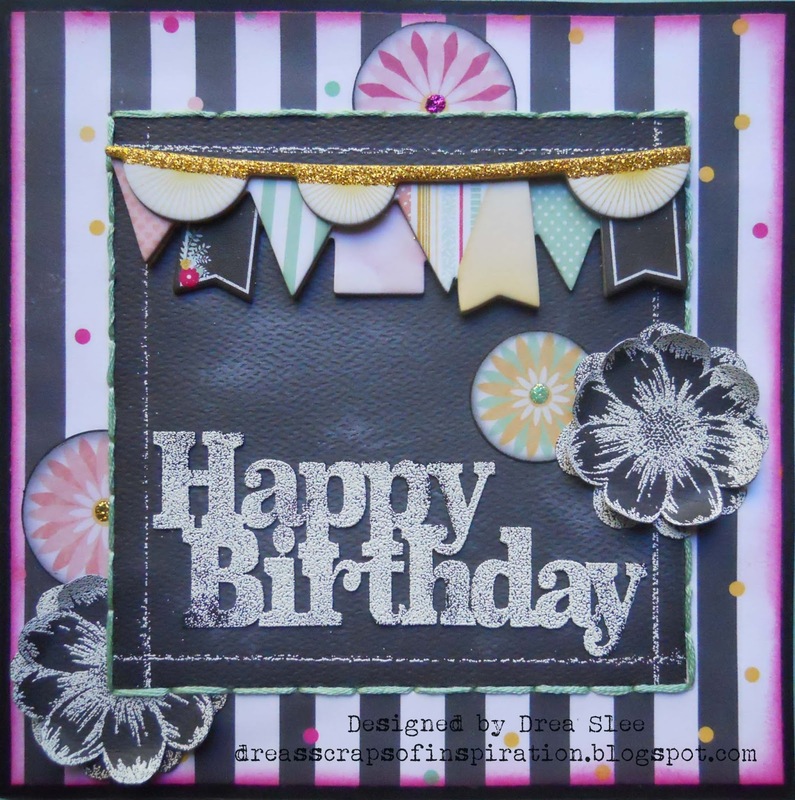 Using the same black cardstock from the Ephemera, cut a 4 1/4" square. Use the edge of a ruler, envelope, or whatever you have on hand, to emboss the white lines around the edges. Smudge some white ink onto the cardstock to give it a "chalkboard" look. Then apply Black Soot Distress Ink around the edges. 4. 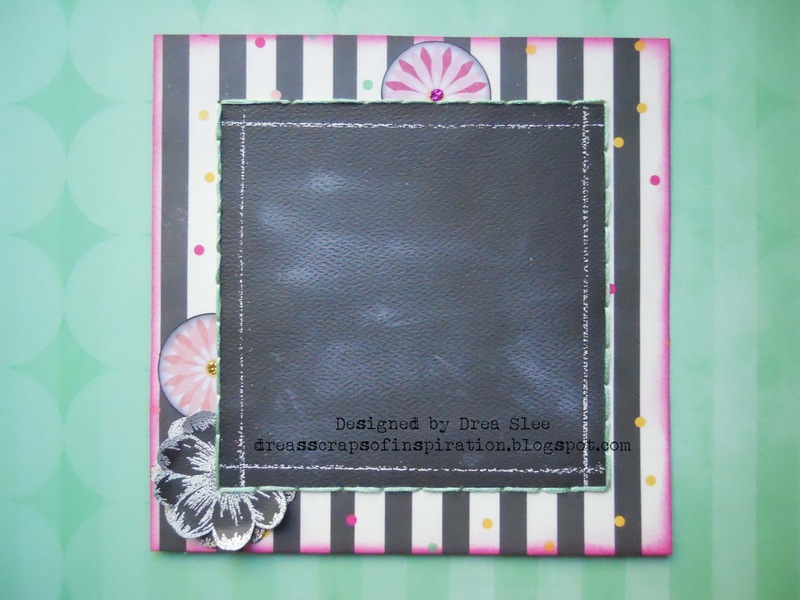 Glue your "chalkboard" to the center of the striped paper, and hand stitch around the edges. 5. Apply black paint to the laser cut Happy Birthday chipboard piece. 6. 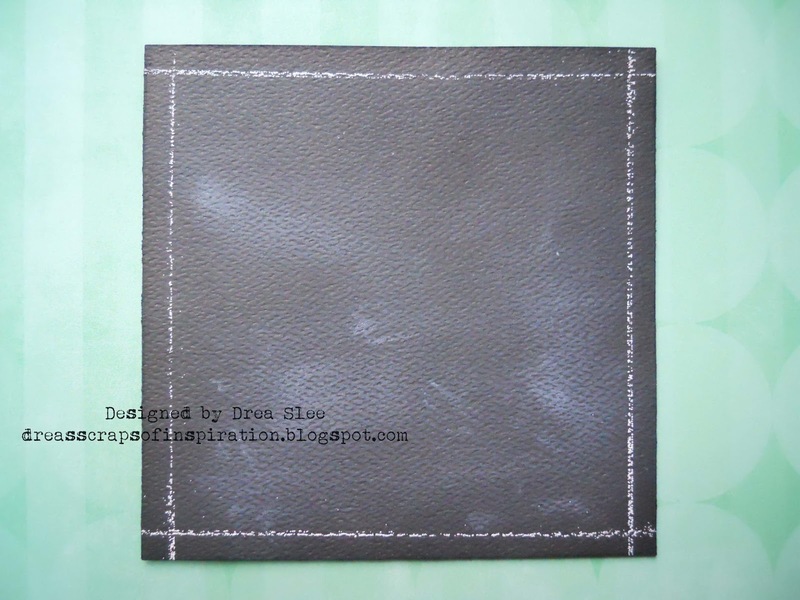 Use white embossing powder over the paint to mimic chalk. 7. Glue your pieces as shown, adding the banner from the Layered Chipboard. 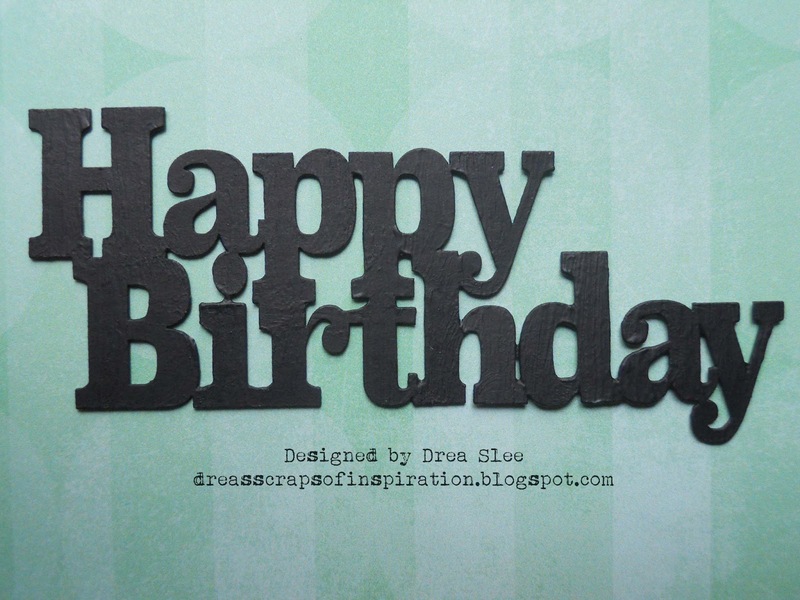 Finally, glue to a 6" card made from black cardstock, and give it to someone special! To pick up your own bundle, and any other supplies you might need, visit the FotoBella store! 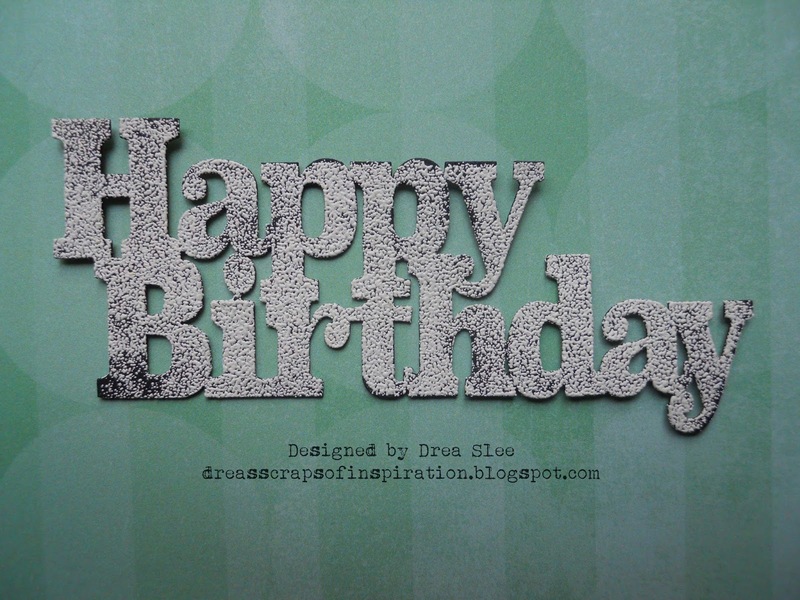 Drea, I love your style, the card is awesome!